JA: What device or product does this involve? Expert: Kausik replied 15 days ago. Hi this is Kaushik, I will assist you with the issue. Shall I go ahead and remotely access the computer to check on the issue and get it resolved? Or just provide the steps so that you can perform them? 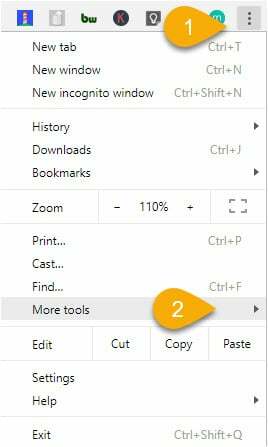 Click More-> More tools > Extensions. Next to the extension you want to remove, click Remove. please search for Norton safe search and remove/delete it. Refer to the below image for assistance. There are more methods to fix the issue, reply back if you face any difficulties while performing the above provided steps and I would be glad to assist you further.